The element of surprise is essential on a number of occasions – a magic show, Navy SEAL operations and, of course, when you’ve secretly planned a limo ride for a loved one. There’s nothing better than seeing their reaction when the luxury ride shows up and whisks them away. There’s nothing worse than planning the surprise only to have it fall flat. Fear not – Royal Executive has helped pull off plenty of surprise limo rides, and they are sharing their best-kept secrets. First off, there’s never a wrong time for a surprise limo ride. Just ask anyone who’s ever gotten one. However, there are some special occasions that call for it. 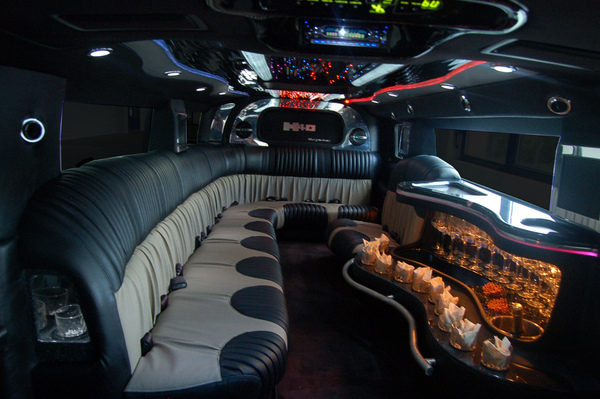 – Surprise limo rides make an amazing birthday present for people of all ages. – They are a great way to make a good impression on a first date. – It can catapult your Valentines Day to an atmospheric level of romance. – It’s a touching gift for a woman on her wedding day. – A maid of honor can score major brownie points by planning a surprise bachelorette limo party. As with most things in life, preparation is key when you’re planning a surprise limo ride. Before you book the limo service, consider how you want the surprise pick up to play out. Once you have an idea of how you want it to happen the limousine rental team can help you flesh out the details. – Decide whether you will greet your surprise guest in the limo or be there with them when the limo arrives. – If you’re planning a surprise that involves a number of people, have an idea of how many will be in your group so that the service provider can suggest the limo that’s best suited for the surprise. – Discuss whether all guests will meet up at one location or whether the limo will need to pick people up at multiple locales. – Do you want to decorate the limo? If so, talk to the limo service about what is and isn’t acceptable both on the interior and exterior. – If you share an account with the person being surprised don’t let the transaction ruin things. Pay with cash or a personal card if possible. – Be careful not to post anything on social sites that may give the surprise away. The same goes for anyone else who is part of the surprise. – Have the limo decorated before the pick up. – Make sure that the timeline you have planned with the party being surprised corresponds with the scheduled limo service. Give the rental service a call the day before to make sure everyone is on the same page. – If there are any special requests that will be provided by the limo service, like a red carpet, specific wardrobe for the driver, etc. ensure it’s accounted for in advance. – Get the limo driver to text you rather than call if you’re going to be with your special guest when the limousine arrives. Need an Austin limousine rental for your next big surprise? Let Royal Executive Transportation help you pull it off without a hitch. The knowledgeable staff is full of ideas and experienced in the art of surprise.